I am going on day six of the biggest back crisis in existence. I took one amazing parking lot spill. Like a car sent soaring over an unseen speed bump with hair flying wildly about, down I went heels and all and managed to pretty much leave my spine there as I dusted myself off, got in my car and drove away, giggling, thankful I hadn't broken anything and praying nobody saw. A few days later, trapped on the 2nd floor of my home, I enlisted the help of an acupunture doc to come to the house in an effort to free me. Work is piling up. Like seriously piling up. To my left are about 20 books to read and consider for Best Ever You. I glance over and see one called "Live Like a Fruit Fly"
"A fruit fly huh?" I think to myself. I would rather live like a cat, turtle, cute fluffy dog, just me... a fruit fly. So with flyswatter in hand I set out in what turns out to be "find Gabe". I am nearly done with the book when I see the bit about Diane Lane. I agree, Diane Lane, you are just hot. I decide I need to find Gabe. No 411, just facebook. He's there and it's him. I can't give him the 411 on Diane, but can tell him I love the book. 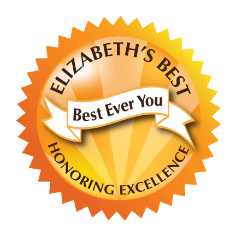 I'd like to write something profound and professional like Deepak Chopra wrote about the book and Gabe, "In Live Like a Fruit Fly, Gabe Berman shares his recipe for living a more joyful, worthwhile, and abundant life in every way. 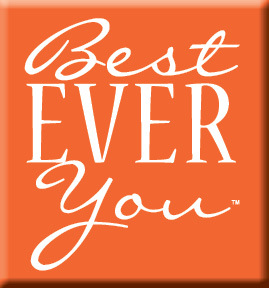 A witty, entertaining and insightful read." So, about Gabe. Talented writer Gabe, who gets it. Use your time wisely, be authentic, dream, life is short, Gabe. Go with old fashioned sugar, Snoopy loving Gabe. 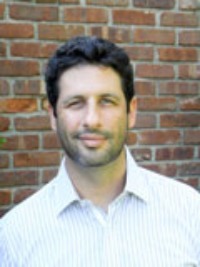 Gabe Berman is a native New Yorker who settled in South Florida after graduating from the University of Miami. An epiphany, a passion, and a trail of breadcrumbs led him out of Corporate America and into a writing career. His columns appear regularly in The Miami Herald and on Alan.com. 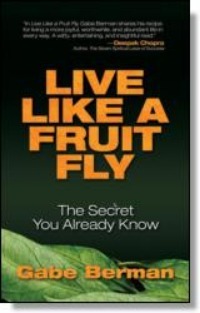 "Live Like a Fruit Fly"
Fantastic book...thank you GABE BERMAN !! Your book is such an inspiration to all who have been able to read it!